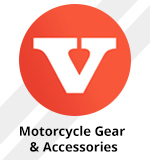 I'm just chatting to the people who provide our club graphics to get a set of decals made up for the bike. 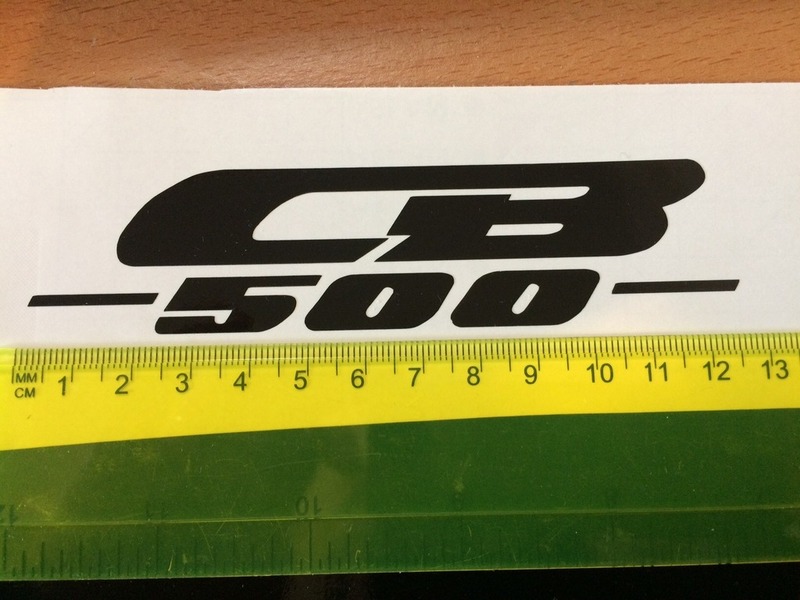 Secondly can someone take a good photo directly in front (so a flat image like the one above) of the CB500 side panel logo and post it up so they can make the graphic up aswell as providing the dimensions say to either end of the horizontal bar aswell as the height (just for reference its the lower graphic in the picture below I'm after). Ill try & remember when I take the tank off for it's 32k service. carry on like that and I'll start to think sullivj has stolen your login! anyone else got easy access to their tank in the meantime? @ashcroc wrote: Ill try & remember when I take the tank off for it's 32k service. 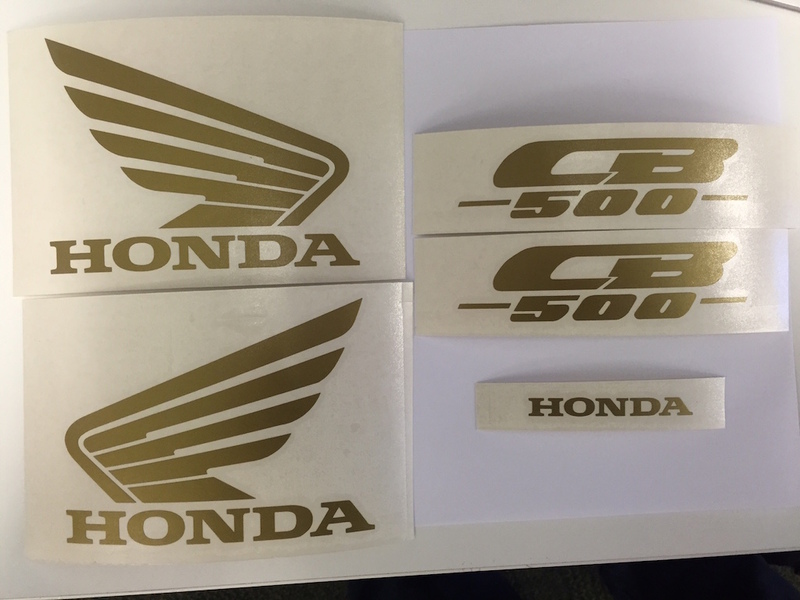 It's a pity that my brain is fading away , as there was a member on this site about two years ago who was offering the vinyl graphics for the CB500, but I can't remember his name. 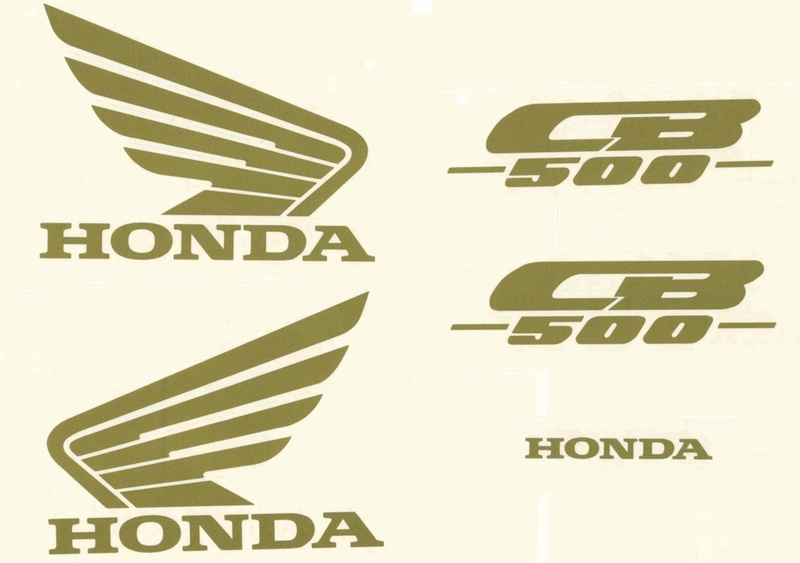 I got some nice gold tank logos from him and they were only 50p each or something like that. Will you need to clear lacquer over them to make them look 'right'. @sullivj wrote: Will you need to clear lacquer over them to make them look 'right'. also means I can easily change or re-align as many times as I see fit. Out of interest is anyone else after a full set of these? Oh you're going the vinyl route. 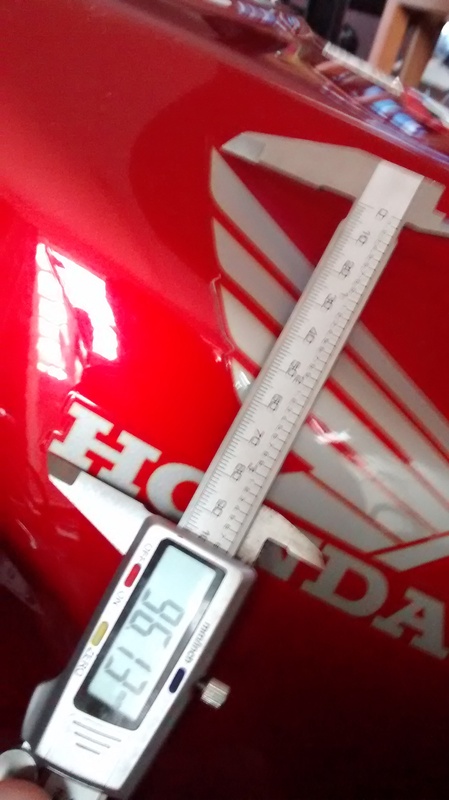 I'll get more accurate measurements of the side & back stickers for you. As far as lacquer goes, I'm pretty sure it's just the tank decals that have a clear coat over them but will check. It won't make that much difference either way, they'll just look betterfor longer & be harder wearing with one. I think the measurements for the side and back you've already taken will do great, I was exchanging mails with them this morning and they've forwarded the link onto their designer who is going to get it plotted and priced up. 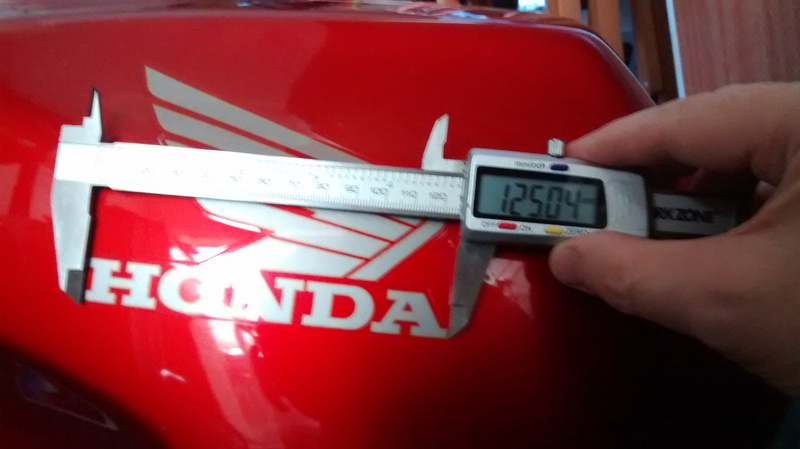 I asked about a printed sticker as opposed to cut vinyl but they aren't tooled up to do that. Cut vinyl is good as it's pretty cheap to replace but agreed some lacquer or going the sticker route is harder wearing but also more expensive. Think this will do for now and I'll see how I get on. Will get the tank dimensions later. fantastic, they just mailled me this which they did on an off cut to test - looks pretty good i reckon! 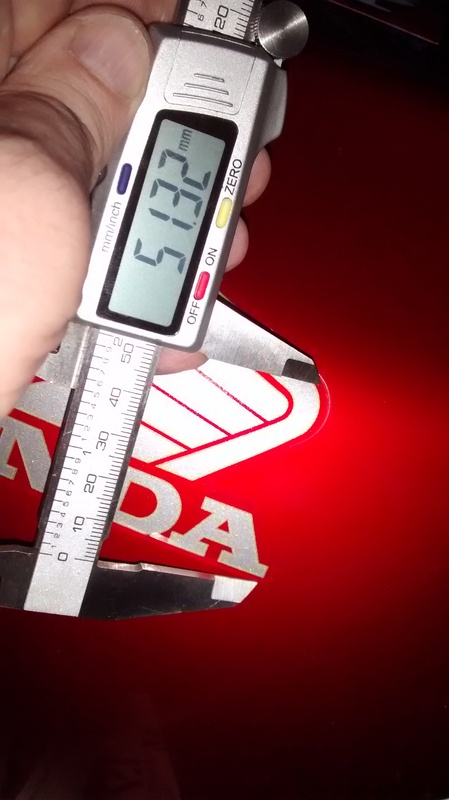 will get them to modify the size accordingly - still waiting on the Honda decal for the back. Looks good & it'll be extremely stealthy against your paintwork. I'm booked in at oval tomorrow morning for its 32k service (sans shim check as forgot to order gaskets) so I'll get the tank dimensions then. where about a do you take it? I'm doing it myself here as don't have the indoor space or facilities at home. It's just to check it out for now but if it's as good in the flesh as on the website I'll be becoming a member & using it regularly. that is truly superb - thank you both!